I. Meditate 3-5 times on 1 Peter 3:8-17 this week. II. 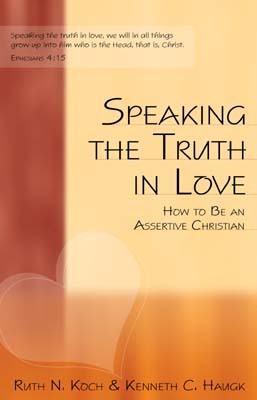 Read the introduction to Speaking the Truth in Love and take the Assertiveness Inventory in Appendix A. Check in: How are things going? Have you tried to implement anything from the first four weeks? How has that gone? Any updates on things we have prayed for? Interact with the material: What did you think of the definition of Assertiveness? Does this material raise any questions for you? Do you tend toward passive or aggressive? Does that change from person to person or situation to situation? Pray: Pray for each other and for the people God has in mind to be on your next triad team, whoever they are.